That Silken Shoots Green Tea in the back right; the homemade lemonade on the left. 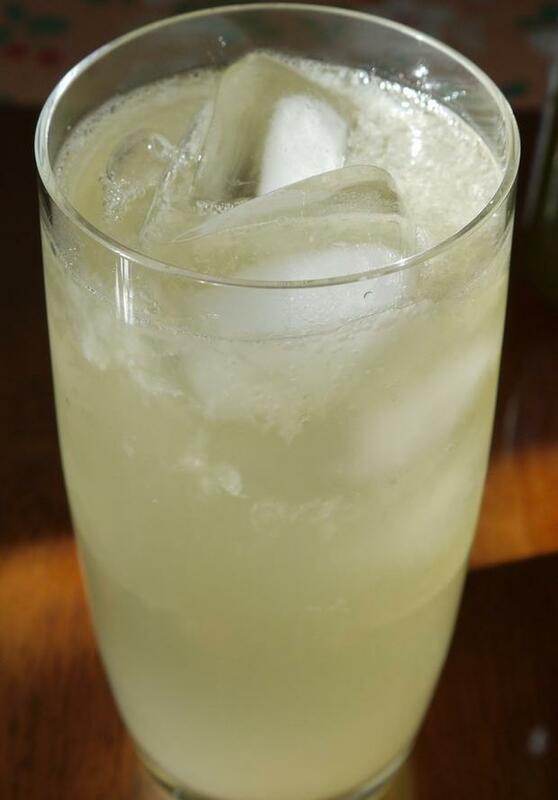 The sweet citric tartness of the lemonade blended exquisitely with the tea's smooth herbaceousness. In other words — yum!